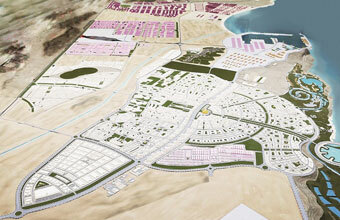 The Special Economic Zone Authority of Duqm (SEZAD) has announced that it is allocating 10 per cent of the total value of its purchases and tenders to small and mid-sized enterprises (SMEs) in implementation of the recommendations of the SME Development Symposium, which was held in Saih Al Shamikhat in the Wilayat of Bahla last year. The decision issued by Yahya bin Saeed al Jabri, Board Chairman of SEZAD, states the authority and the wholly owned government corporation operating within the Duqm zone should allot a minimum of 10 per cent of their purchases and tenders to small and med-sized enterprises. The decision which took effect from September 10 makes it mandatory to enclose the tender documents of large projects floated by the authority and its wholly-owned government corporation and that these companies commit to allocate 10 per cent of the overall value of tenders and purchases to SMEs giving priority to the ones which are listed and operating within Al Wusta Governorate. The decision was aimed at boosting the activities of small and medium-sized enterprises in the governorate as part of the attention accorded by the authority to the SME sector. The SMEs make up around 16 per cent of the Sultanate\\'s GDP. SMEs in Oman, as defined by the Ministry of Commerce and Industry, are businesses with no more than 99 workers and annual sales of up to RO 1.5 million. Depending on size and sales numbers, businesses below these rates are divided into the categories of micro, small, and medium-sized.